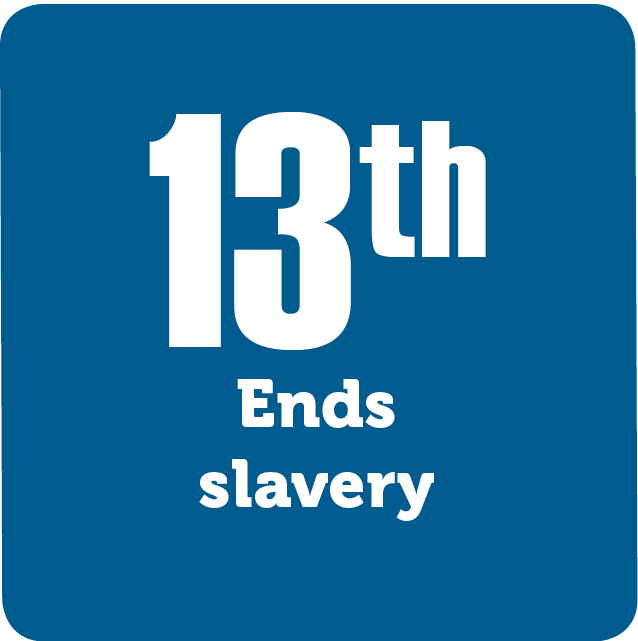 The Thirteenth Amendment ended slavery in the United States. The Constitution doesn’t use the word “slavery;” opting instead for phrases like, “all other persons.” Nonetheless, slavery existed in these lands beginning with the first permanent colony. After over 200 years of debate and compromise, the slavery issue boiled over into a Civil War. Abraham Lincoln abolished slavery in the south with the Emancipation Proclamation, but knew a only a Constitutional amendment would legally end slavery.